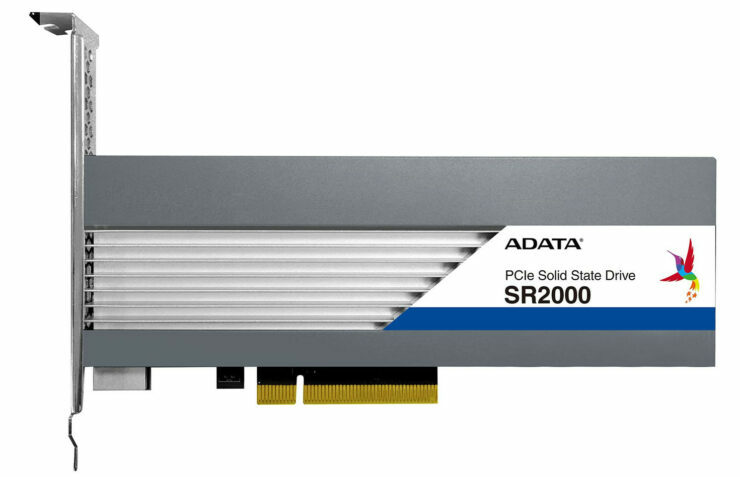 The 4 TB model was shown and tested by ADATA, and showed some rather impressive numbers. It hit up to 1 million IOPS 4k random reads and 150k IOPS 4K random writes. Also giving blazing fast sequential transfer speeds of up to 6 GB/s reads, with up to 3.8 GB/s writes. The drive also features the essentials for enterprise such as user configurable overprovisioning (which would be a fantastic feature to see on the consumer end one day), Power loss protection to keep data safe in case of outages, native 256 bit AES encryption for the protection of consumer data in today’s big data world and protection against 95% relative humidity and 55°C ambient temperature which is Google’s spec for their datacenters. For those looking at this drive and being blown away by the performance, which you should, don’t expect to be able to find this in store shelves any time soon. As this is an enterprise focused drive and would be priced out of almost every enthusiasts budget. The company didn’t reveal pricing as the drives would probably be served up to enterprise customers. Nor did they provide a date.